Riverside Hockey Club’s (RHC), outdoor has got off to a great start. Its youths are exceeding expectations. The club is excited about the turnout and registration figures for their mini league and had a free open weekend at Riverside Sports in Durban North. “Our junior division is widely regarded as being the leading club programme in the country. We pride ourselves on having some of the best coaches on the provincial and national circuit training our junior members, who range from the ages of three to 13-years. “It’s not only about having a team of brilliant coaches and world-class facilities, though our club is renowned for its family-centric approach and creating a fun, safe and healthy environment for the girls and boys that belong to our club,” stated Justin Collins, head of RHC’s youth section. The youth sessions started in February last month and takes place every Monday with Under 12 and 13 players. According to the head of RHC’s junior hockey, Shane Fouquereaux, their Reach Programme is the only one of its kind in the country. The official start of the mini hockey outdoor season that caters for kids aged from three to 11-years of age will start on 5 April, with sessions every Friday from 5pm. 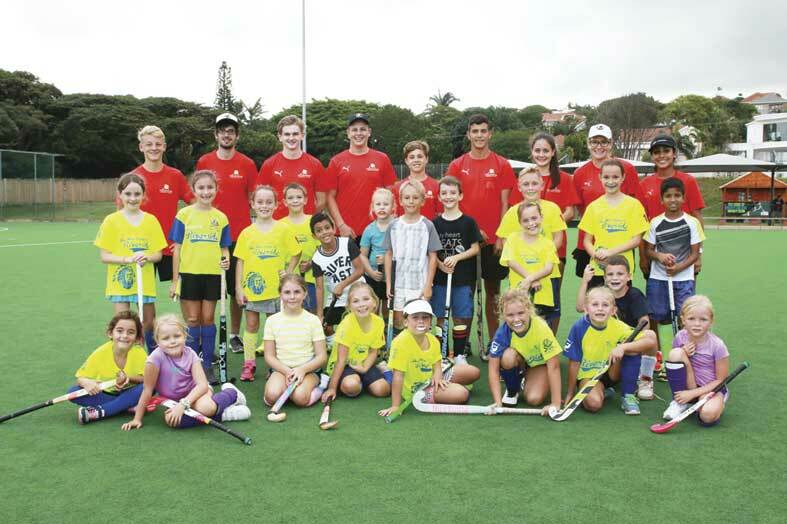 “A number of mini hockey festivals take place throughout the season to promote healthy entertainment for these mini hockey stars, including the biggest and most popular annual Spur Riverside Mini Hockey Festival on Youth Day, 16 June ,” said Fouquereaux. According to former Springbok hockey player and Olympian Caryn Springate, who heads the mini hockey section for RHC, the primary focus of hockey is the technical development of individual players to reach their maximum potential, within a fun, non-pressurised environment. “We pride ourselves on our approach of having player development taking precedence over results in matches, festivals and tournaments. “Our club’s ethos of ‘pure hockey enjoyment’ means that while there is a strong focus on fun and playing with your friends, this is underpinned by an ongoing quest to improve coaches and coaching in line with international best practice so the kids can benefit from the very best training sessions to further develop their skills and hockey basics,” concluded Springate.